• While two-thirds of drivers consider driving under the influence of alcohol to be a serious threat, only 28 percent of drivers believe the same about driving while using prescription drugs. • Only 35 percent of drivers choose to curtail driving even when they believe their medication is affecting their ability to drive. 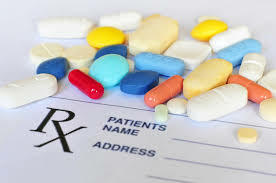 • Of fatality accidents involving drug use, 46.5% of those accidents involved prescription drugs. To complicate the issue further, assessing the actual risks between drug use and driving can be far more difficult to measure than alcohol use. The reasons? 5. Drugs used in combination can interact with each other and/or with alcohol, making the number of possible outcomes almost impossible to predict. If you are taking a prescription drug, how do you know whether it’s safe to get behind the wheel? We will tackle this question in more detail momentarily; for now, let’s look briefly at a few broad categories of drugs and how they can affect the way they drive. Marijuana has been legal for medicinal use in California for years, and as of January 1, it will also be legal for recreational use. Unfortunately, marijuana (also known as pot, or cannabis) can impair your ability to drive the same as alcohol, or worse. According to EMSA Online, marijuana can affect reaction times, perception of time and distance, and judgment. These impairments can worsen when combined with alcohol use, and if pot is combined with opiates or other sedatives, it can even cause hallucinations. • Opioids—prescriptions used to treat pain, or as a supplement to treat substance abuse of other similar drugs. These may include morphine, codeine, OxyContin, Vicodin, methadone and others. • Tranquilizers—drugs used to treat anxiety like Valium or Xanax. • Prescription sleep aids—such as Lunesta or Ambien. • Antidepressants—like Zoloft or Prozac. • Barbiturates—sometimes used to treat anxiety or seizures. • Muscle relaxants—like Flexeril, Soma or Dantrium. • Antihistamines—available by prescription or over-the-counter, many of these allergy-treating drugs cause drowsiness. • Amphetamines—used to treat a variety of issues ranging from narcolepsy to ADHD. Examples include Adderall, Ritalin, Dexedrine, Benzedrine, Concerta and Dextroamphetamine. • Prescription diet pills—used to increase metabolism, suppress appetite and facilitate weight loss, but which can also cause overexcitement and insomnia. These include drugs like phentermine, Tenuate and orlistat. Many of the drugs just mentioned are also available in over-the-counter dosages. These and other OTC drugs can also impair driving in unexpected ways. For example, the same AAA report cited above indicates that diphenhydramine—a drug commonly used in cold and allergy medicines— can impair a person’s ability to maintain speed, lane position or a safe following distance while driving. Just one such dose can mean a driver is as impaired as if he were legally drunk. In fact, even certain herbal supplements can affect the way you drive! • Always read the list of possible side effects. No exceptions. Know the risks before you take every drug. • Ask your doctor or pharmacist. If you are unclear about whether the dose you’re taking can impair driving, ask. Also, be sure to mention any drugs or supplements you’re taking—both prescription, OTC medications and herbal supplements—and ask whether these drugs may interact to cause impairment. • Take the drug for 24-48 hours before driving. Evaluate how the drug makes you feel before getting behind the wheel. • Drive with a buddy until you are confident. When beginning a new prescription, have someone with you, in case you show signs of impairment. If it happens, pull over and let your friend drive. Talk to your doctor before getting behind the wheel again. Driving under the influence of a prescription drug can be just as dangerous, or even more dangerous, than driving after consuming alcohol. Likewise, a DUI from drug use can be just as devastating to your life as one from alcohol use. If you are facing a possible DUI conviction for drug use, call our offices today for expert advice and representation.